I get so bored after football season. I don't watch any sport as much as I do football, but I do like to watch baseball unlike the filler sports between football and Opening Day of baseball. Sorry to the fans of basketball (the NBA hasn't been the same since Jordan left), NASCAR (I lost interest after they changed the points system), NHL (I loved late 90's hockey but haven't been able to watch since) and College Sports I just lost interest and but used to watch as well. To me, there is no other sport like the NFL, but MLB would be my second sport to watch. Don't get me wrong, I used to love these other sports and especially MLB. But to be honest, steroids really ruined the sport for me. Its hard to tell who is real or who is fake when they are hitting 40+ home runs or pitching like crazy. 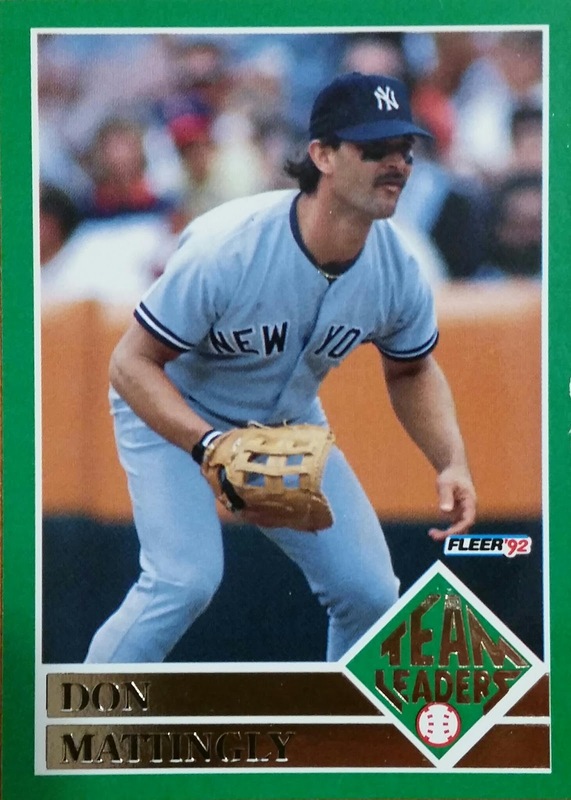 It also hurt me loving to collect baseball cards (not being able to tell TRUE rookie cards played a bigger factor in this however). I used to really be into collecting them. 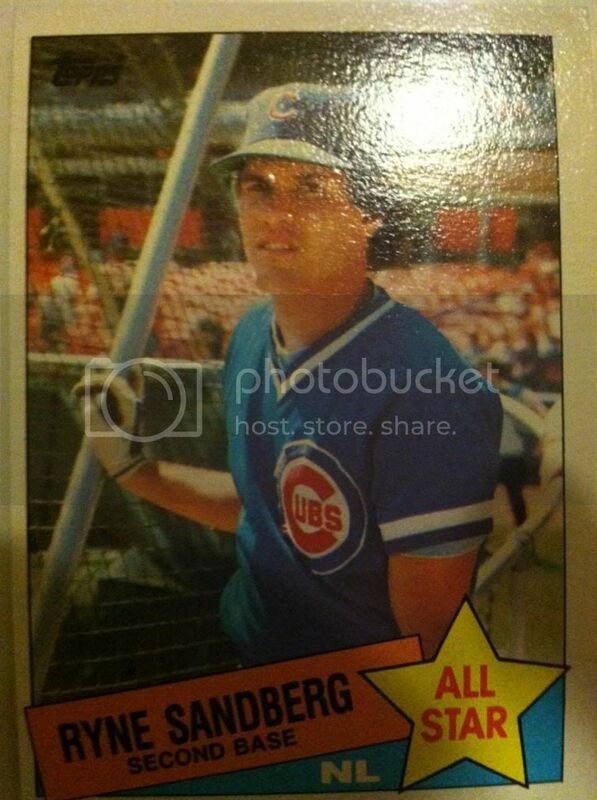 You buy into certain players (Sosa, McGwire) and then you find out they cheated. Hurts your collection value and hurts your feelings towards the game. The game has changed since the steroid accusations like my feelings have towards the game. But I will still watch here and there just not as dedicated. Now that I have done a little bit of ranting, I will get onto my predictions. So, if you didn't know by now I am a Pinstripe fan. Loved watching my Yanks and the rivalry between them and the Red Sox. The rivalry has died down some since the days of Tim Wakefield vs Aaron Boone since both teams have taken a fall but I still do turn on games occasionally if they are on TV (which you know the Yankees always are) and will sort cards while watching but I don't watch it like I used to. But my predictions can't start at a better place than starting with my Yankees. I think at best looking at their pitching staff they are the third or fourth best team in the East. I think injuries and age will also play a factor in this as well. 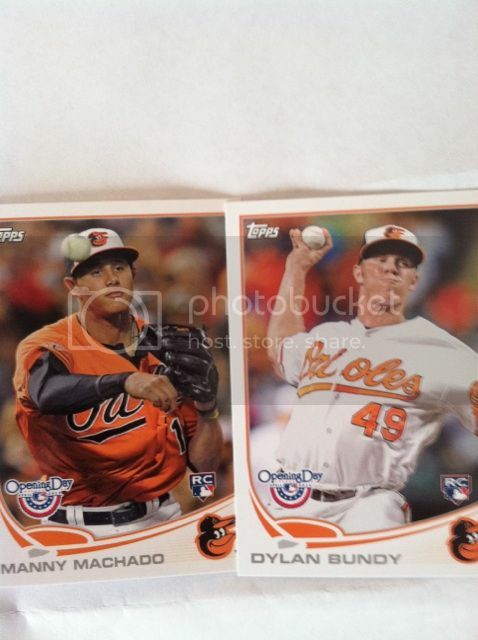 If their pitching somehow comes together however, they could surprise a few teams and myself. They got rid of a lot of power in terms of home run hitters and that will hurt the offense some as they will have to find new ways to score runs so it will be interesting to see how Girardi fixes it. 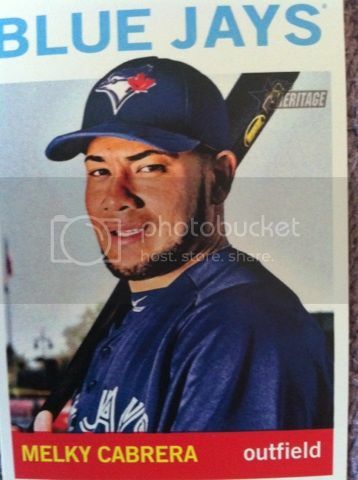 I know a lot of people are sold on Toronto Blue Jays to win the East..but I am not so much. Yes, they did make a ton of moves and the ton of moves should add some more wins but for some reason I think the players they traded for will have down years. Sort of like the Eagles of football when they went out and added Super Stars to their lineups. I still think they are second or third best in the East however but thats mostly because of the Yankees and Red Sox fall. Thats right..the Pirates. 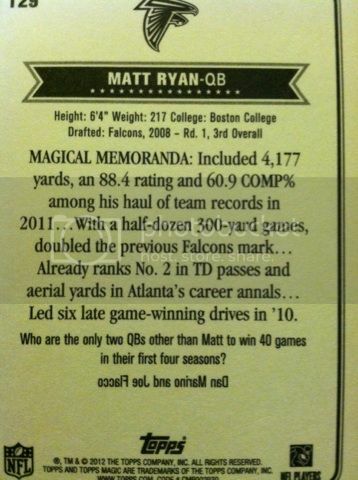 Now thats a bold prediction. But last year they showed some life and they got a decent team put together. The Central is not that strong and they are at least the second or third best team in it. This could finally be the year they make a run. And with the World Series between the Tigers and Dodgers I say the.....TIGERS will win this years World Series with strong pitching and a powerful lineup. Let me know your thoughts on baseball or my predictions in comments and tell me yours while you are there! 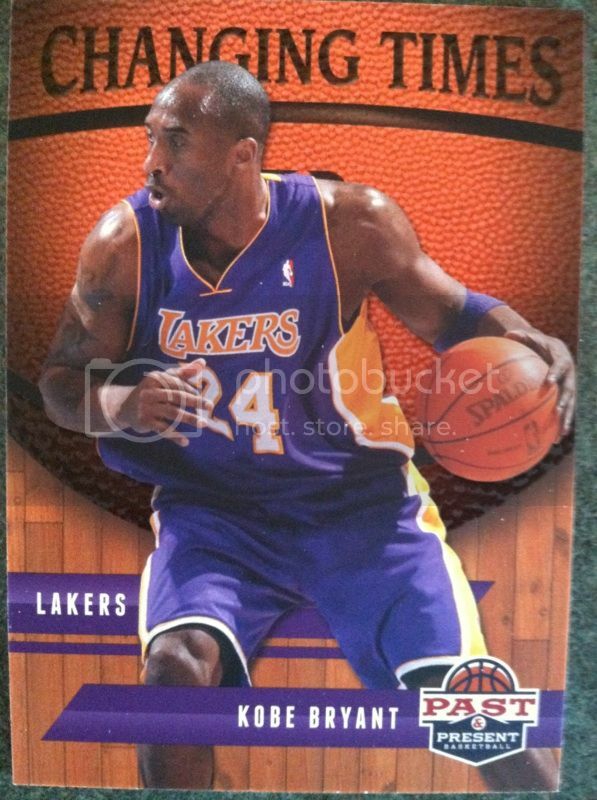 Panini America officials announced yesterday that they have teamed up with Taco Bell and for a limited time you can you can find 2012-13 NBA Hoops Basketball trading cards created exclusively for Taco Bell kid’s meals. Now, I am not a kid and no way eat like one. But I may now decide that I need to. Not only to land some of the cards, but I could probably stand to lose a couple of pounds as well. The 150-card set includes five players from each of the 30 NBA teams, rounded corners and updated photography for the 14 rookies in the set. I for one really like this idea. Why always have toys in their meals? Lets get a youth movement going for the hobby again! 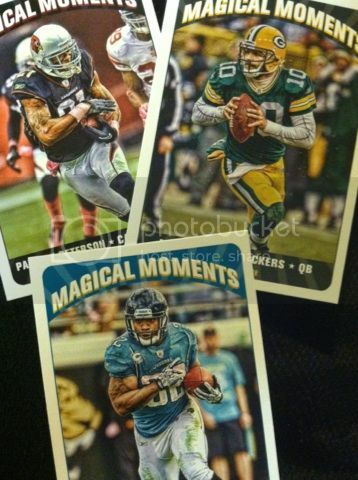 They are the future and this was a great idea by Panini. Here are the Updated Standings for the April Giveaway! To start off the new year we have decided instead of doing weekly giveaways, we will stick with a monthly one. The weekly giveaways seemed to have lost interest of many of you so we think switching to a challenging monthly one where you control your own destiny of winning. We really enjoy watching the competition. And as always there are daily deadlines (if you miss the deadline you get 0 points) and some twists involved on some days. The Daily challenges will change as the sports do.This month will be a range of NBA, NHL, MLB and even some racing..
Every month the prize lot will include 2-3 autos or jersey cards. Mix of inserts. Some rookies. 2 unopened packs of something. And other odds and ends. The lot is based on what we get and put together. Each month the size of the lot will be different as well. The contest will run for 27 days and now we have turned it into a BEAT THE BLOGGER CONTEST. If we finish in any of the Top 3 spots, that prize is ours and will be moved to the next month. It adds a fun twist to the contest and makes an even more challenging contest ten times harder.Remember to spread the word on this contest as it could be the final one. Good Luck to everyone!! Remember, the more contestants....the more prizes!! If we can AT LEAST 30 contestants playing on a daily basis..there will be three place prizes awarded! We must also reach around 35 on a daily basis to continue the monthly contests. Spreading the word is most important! Rules: There will be a daily entry posted such as April 1st 2013. You will pick the winner of the game posted. You will earn 2 points for the right answer. 1 point for the wrong. The contest runs for 27 days. The Top 3 people with the most points win a prize. The person with the most wins the big prize. There are twist days in between and point gambles at the end and Newbie days where you can earn big points to join the contest. You can join in on this contest at any point except the last 3 days. Anyone can win even with 1 point cause you never know which gambles will pay off! Make sure to follow us on Twitter, Facebook, or subscribe to the blog so you don't miss an entry! *CONTEST OPEN TO US RESIDENTS ONLY..SORRY! 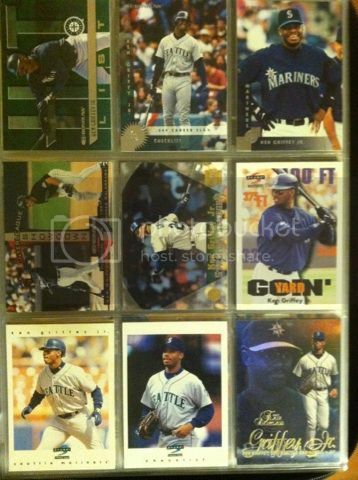 Ken Griffey Jr Cards Of The Week! 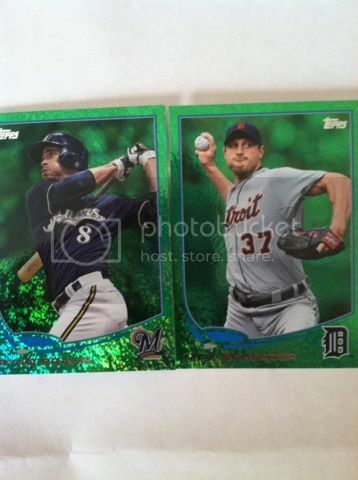 Let us hear your thoughts on today's Griffey cards of the week! 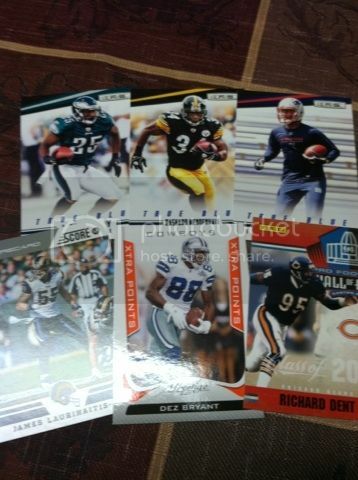 We broke two rack packs early on and with some great rookies to be found in Series 1 we wanted to make sure to get a few. Though this break did not provide in that aspect, the Commerative Patch inside was worth the bust and the nice looking inserts. 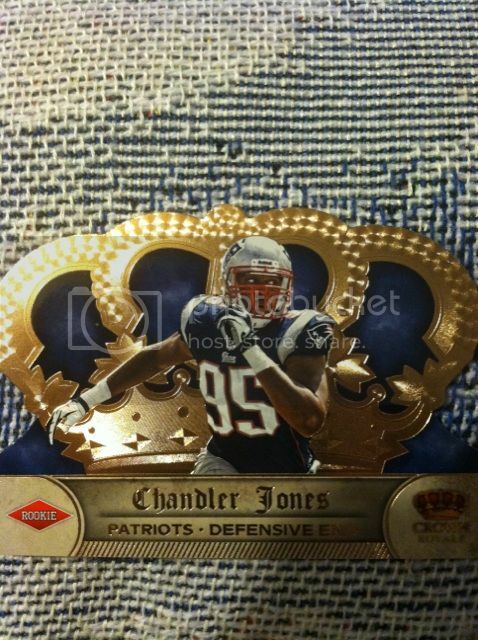 This card is pretty cool. 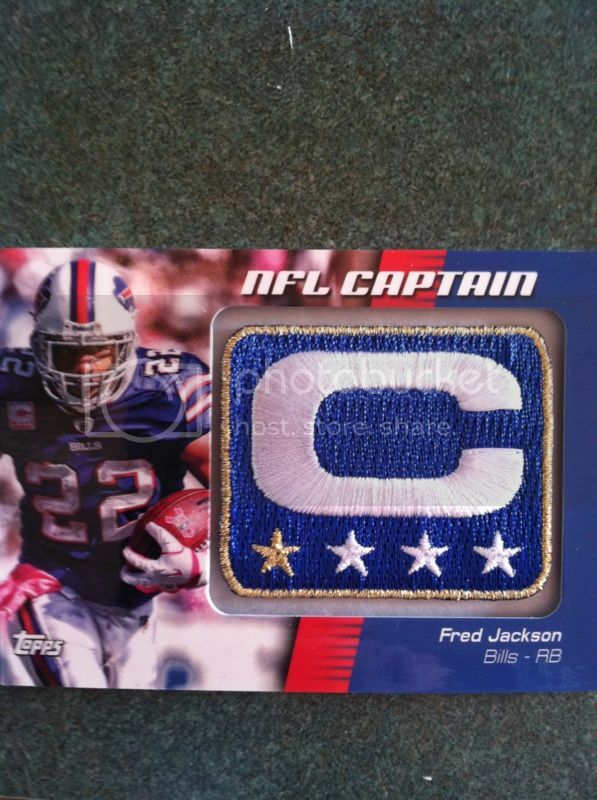 This is the commemorative rookie year patch card. 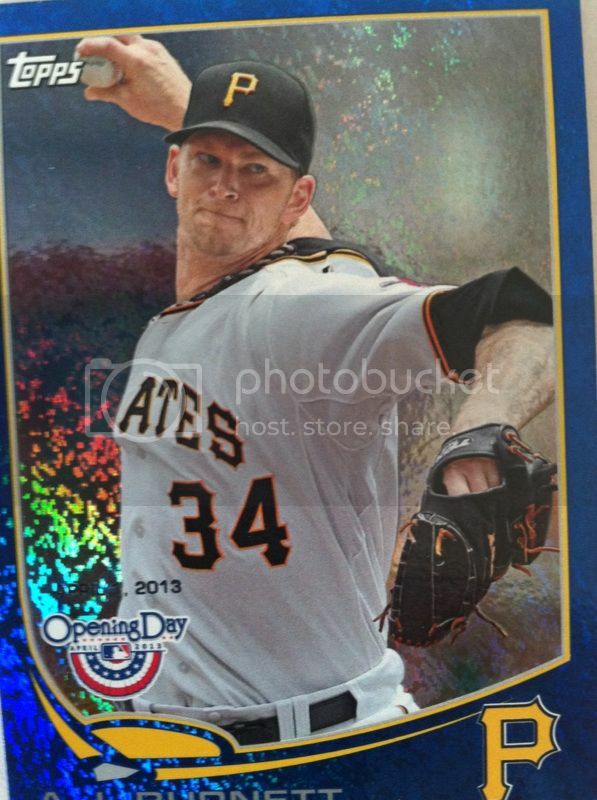 What are your thoughts on this break or on Topps Baseball 2013? 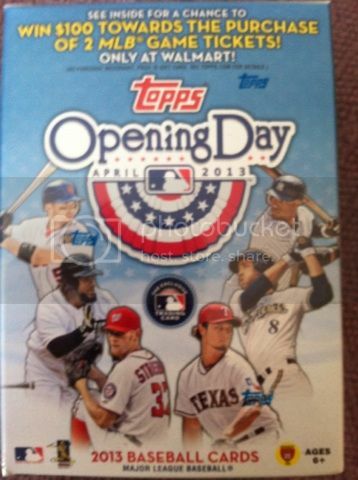 I always like to try new things...Topps Opening Day is not usually a brand I try but it was sitting on the shelf and staring at me. 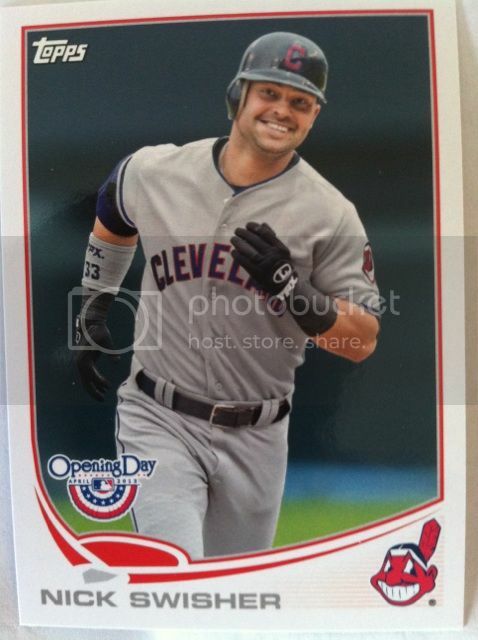 So here are my thoughts on my first break of this product in blaster form. 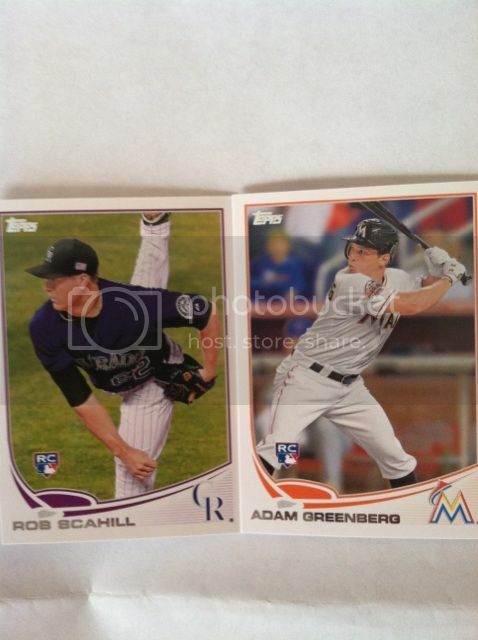 BASE CARDS:The base cards are pretty much the same as the regular Topps issue except the names, logo are not in silver. 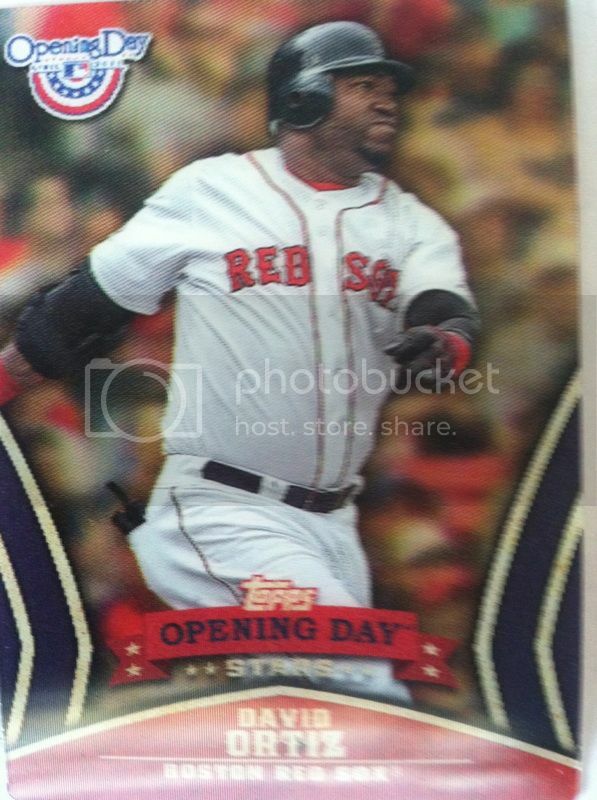 And the base cards themselves feel a bit thinner. 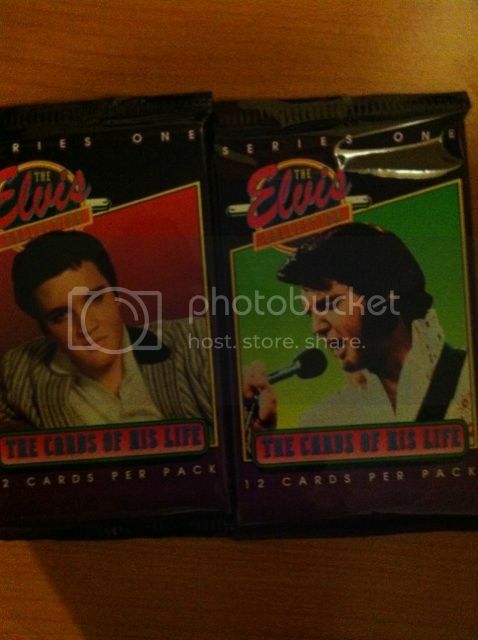 But for 99 cents a pack..what do you expect? 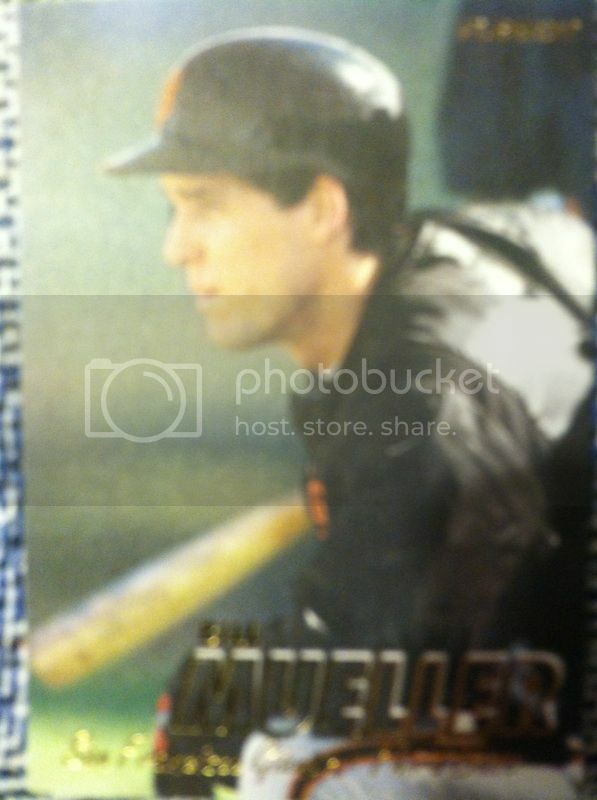 The photography is still nice however and probably some of the best photography I have seen on Topps cards in a long time. 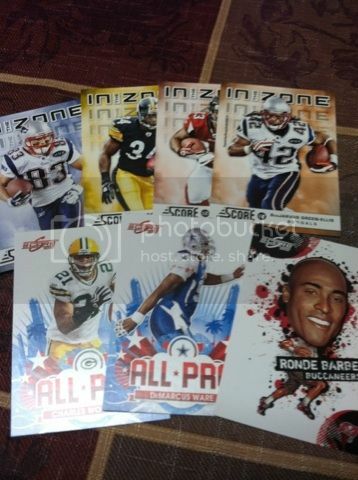 This product also includes mascot cards and top rookies as you can see above. INSERTS: The inserts for this product make it worth the buy. 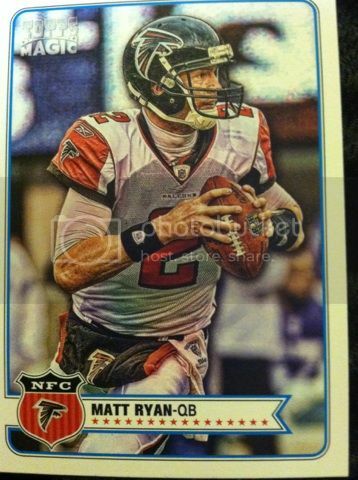 The Blue Glitter parallel are beautiful. 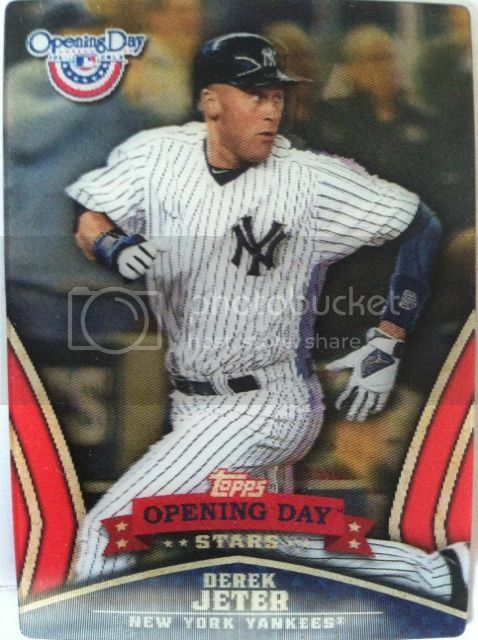 There are other inserts we pulled not pictured (once again our apologies with picture issues) and the Opening Day Stars are in 3D appeal. OVERALL THOUGHTS: I will recommend this product. 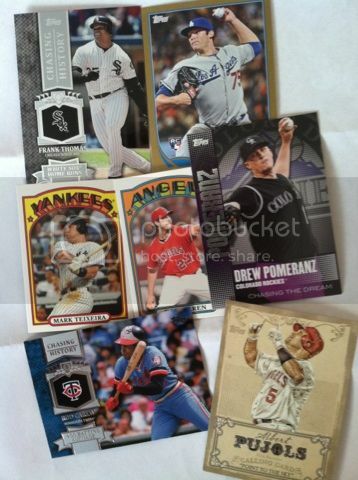 Appealing inserts, top rookie cards, some players that you won't see til Series 2 Topps and a price you can't argue with. The value is there as well. Great product for beginning collectors or collectors looking for a fun bust. 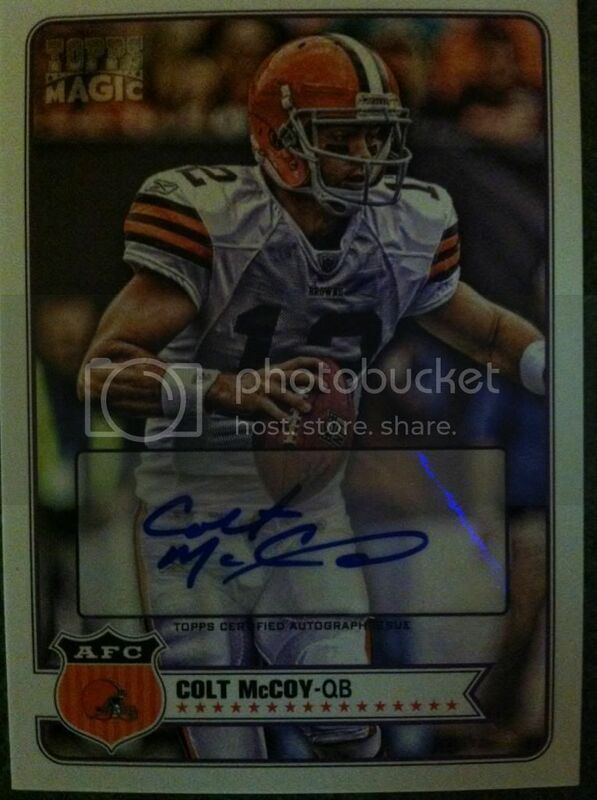 If you haven't checked it out yet..here is the link: http://sports.upperdeck.com/npn/ and let us know how you do! 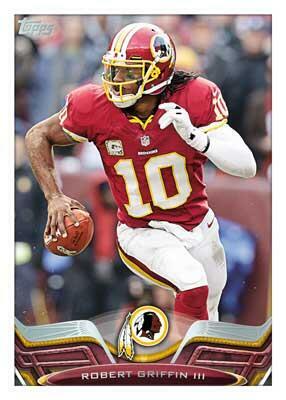 Panini previewed their third 2013 NFL release in Elite. Score Football will be their first NFL release this year which is normally filled by Prestige that will be released second this year. Now, comes this product that BOOMED last year with the release of acetate autographs which look to be appearing in this product as well. 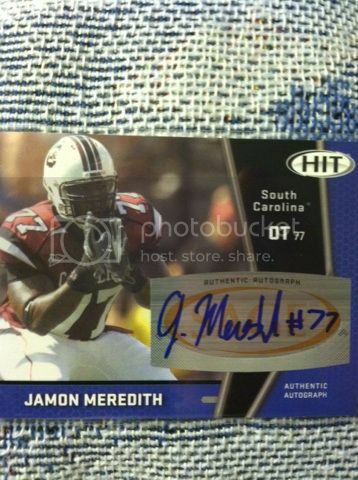 Each box of 2013 Elite Football will have four autograph or memorabilia cards three Rookie Cards, one Turn of the Century insert, one Passing the Torch Silver, one Zoning Commission Silver, one Primary Colors Silver, one Rookie Hard Hats and three additional inserts. 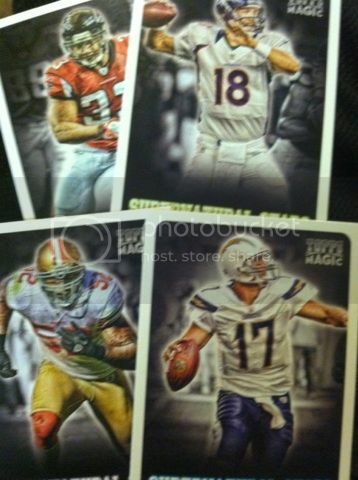 There will also be five cards per pack and 20 packs per box. 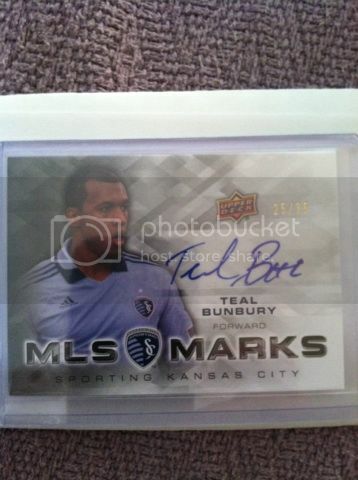 To see more and find out more on this product visit this link which brings you to Panini's Blog! Let us know your thoughts on this product in comments! Upper Deck's UDVA...what is it? 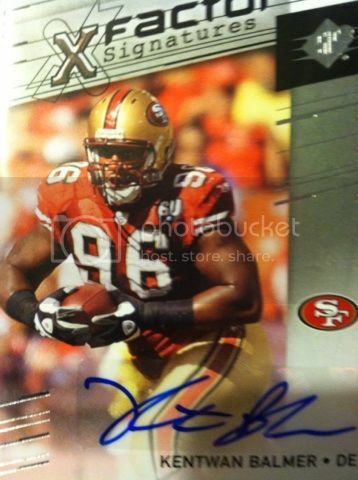 Upper Deck has a program most collectors have never heard of and are missing out big time with. Its called the Upper Deck Volunteer Alliance. Its a group of collectors (well actually like a couple hundred) who get missions from Upper Deck to help make the hobby better. 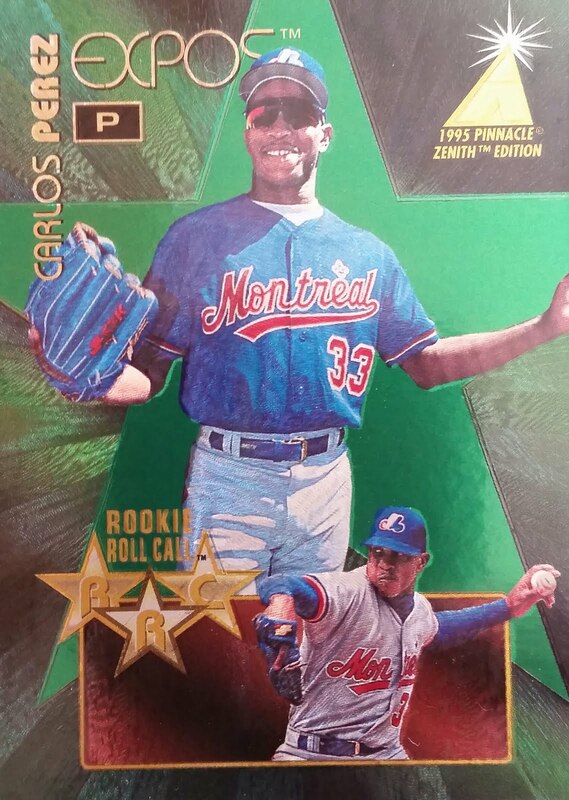 These missions can consist of spreading the word on future Upper Deck products and promos, helping out organizations that donate cards to kids or our troops, and other things that will help make the hobby better. The missions come every few months and you get a deadline to accomplish it by. You DO NOT have to do the mission if you don't want to. But you will get an email telling you of a new one if you choose to do it. Some missions consist of 3 mini missions you can either choose to do all or one. You can use all resources to do the mission such as videos, Facebook, and other sites. 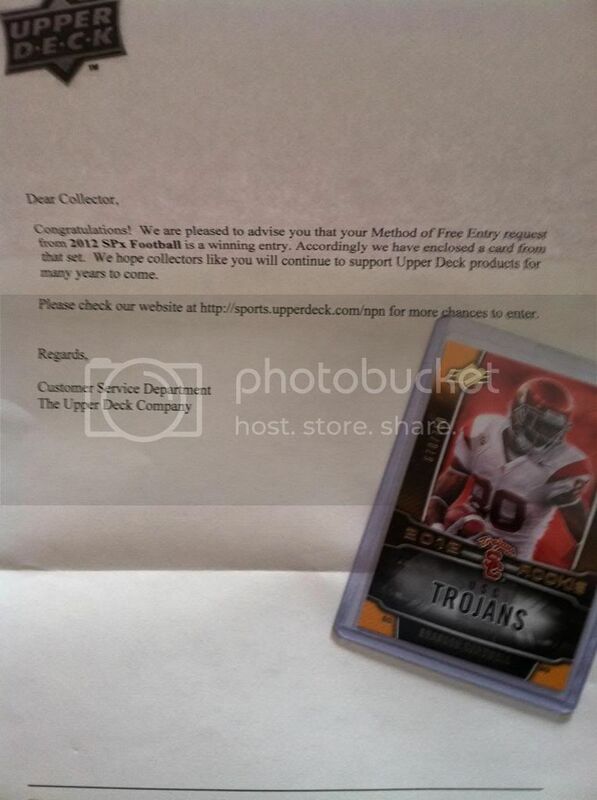 Now heres the great news for collectors other than helping out the hobby, Upper Deck chooses members and gives them an Upper Deck mail day as a reward for their efforts! These mail days can consist of autographed items, boxes of Upper Deck product, cards from Upper Deck box breaks videos and more. You can find Upper Deck Volunteer Alliance on Facebook to see some of the mail days from members and what some of them did for their missions. Also on their Facebook page they do cooperative missions for members to join in on. Here is the info on how to sign up today if you choose to do so! Tried a box of Crown Royal blaster. 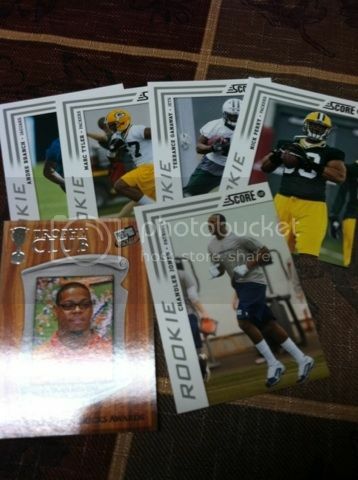 The inserts were okay and only 2 rookie cards in the box. 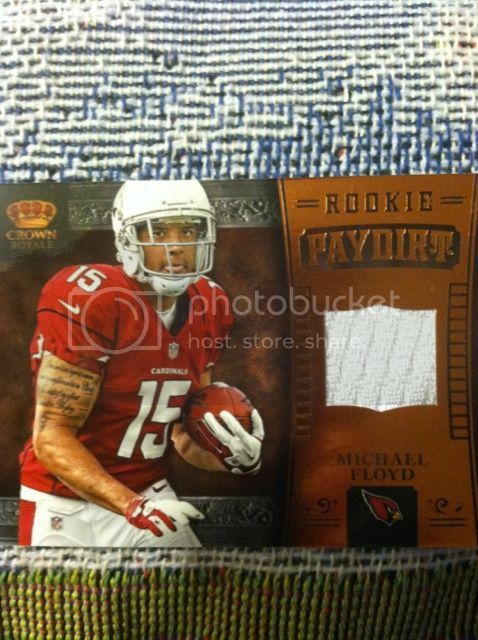 However, was able to land a jersey card in this box of Michael Floyd so overall not a bad break. 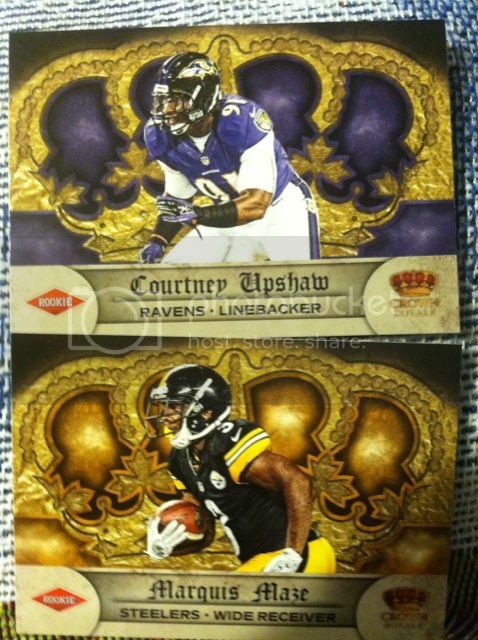 What are your thoughts on this break and Crown Royale retail or hobby? 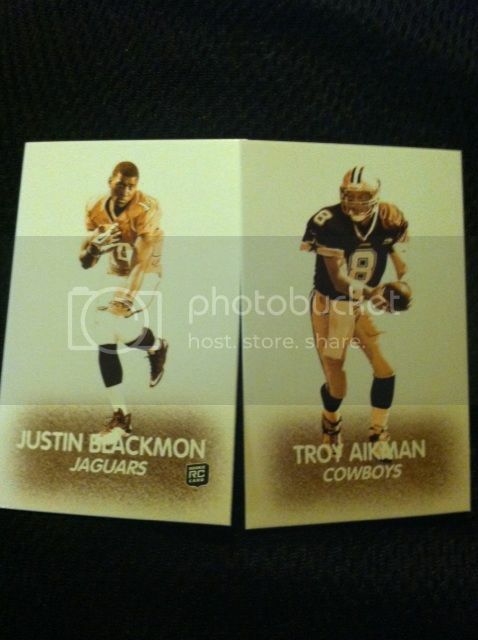 Upper Deck is set to release a set like no other seen on the market and its very HIGH END to say the least. If you are a die hard Michael Jordan fan or a fan of North Carolina Basketball this is the set for you! 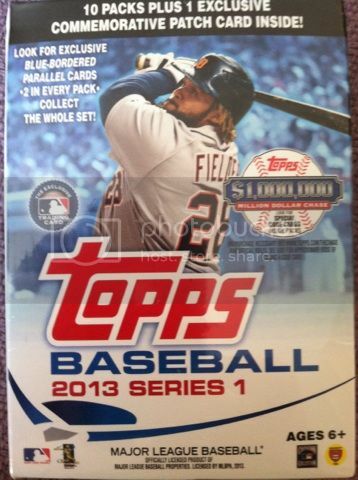 To find out more about this stunning product visit Upper Deck on Facebook. And you can also leave us your thoughts and comments right here! 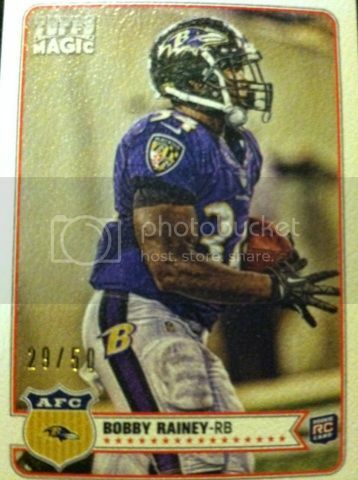 Let us know your thoughts on this years upcoming Topps football design..
As we posted a few weeks ago we wanted to start a new segment of sharing our Griffey Jr. Collection with you guys. This was an ongoing PC for awhile. We haven't collected in a few years but we had a big enough collection to have been featured in Februarys 2011 Beckett Baseball. We will share these for about 40 weeks and it will be featured like this one. 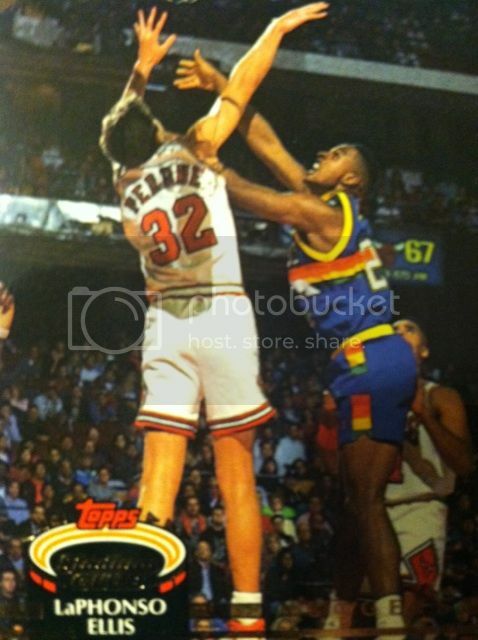 There will be no autographs or jersey cards featured on these posts as most are from the 90's era. Donruss products were one of my favorites to pick up back when they made MLB cards as you can see with most of this sheet made of Donruss and Score. Flair was my favorite card on this sheet. Just always loved the design. 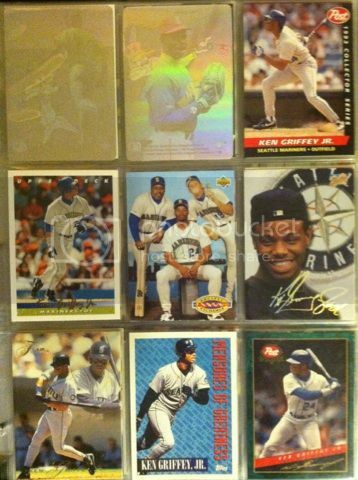 Look forward to next weeks post on Friday for another round of Ken Griffey Jr. Cards Of The Week! Feel free to leave comments on our posts and your thoughts on our collection. 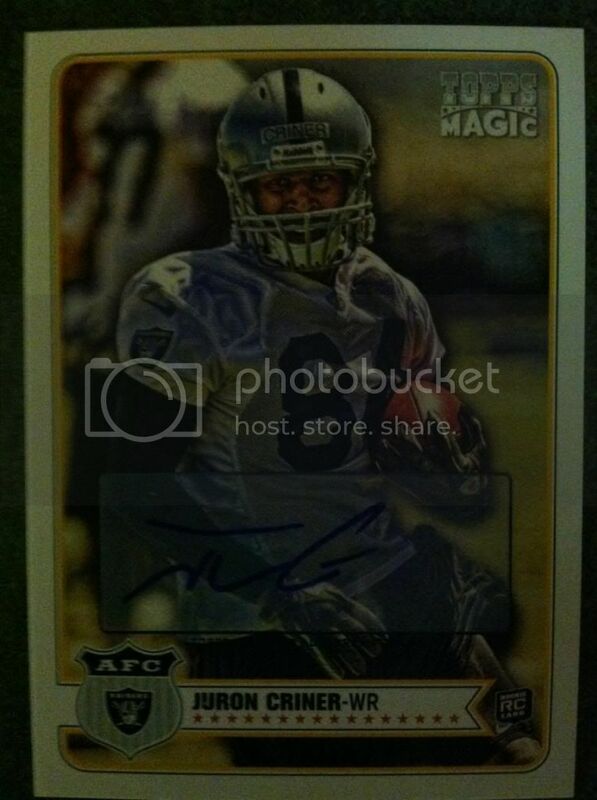 (3) Autograph Cards Per Box! 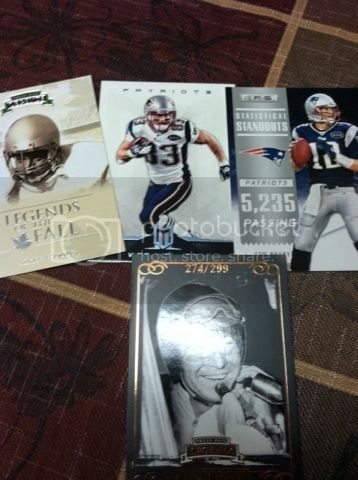 (1) Black Bordered Mini Parallel Per Box! 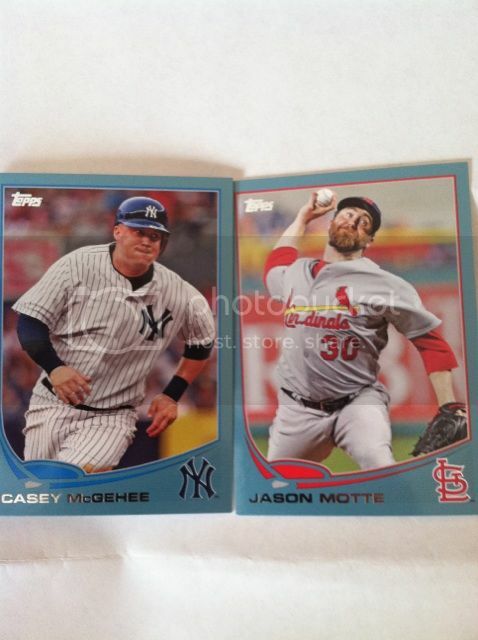 BASE CARDS: Topps sometimes colorful cartoonish looking base card designs don't usually work. They used it in both high end and low end products. I prefer real photography and action shots. But in this case for this kind of product its attractive. The base design in general is. 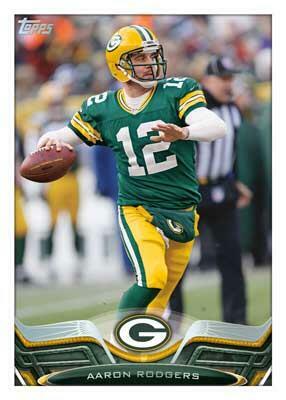 With the lack of gloss as well these cards would only look good done this way. INSERTS: Other than anything in chrome style setting, minis are also a favorite of mine. They fall almost one per pack. 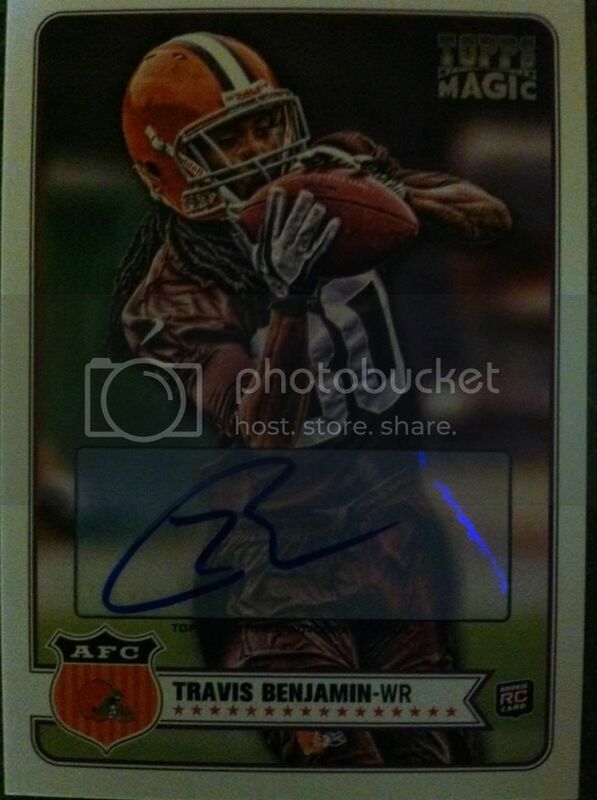 There are also mini black bordered versions fall one per box. The other mini mini's (48 Magic) as we will call them are unique as well and seem to fall 2 per box. 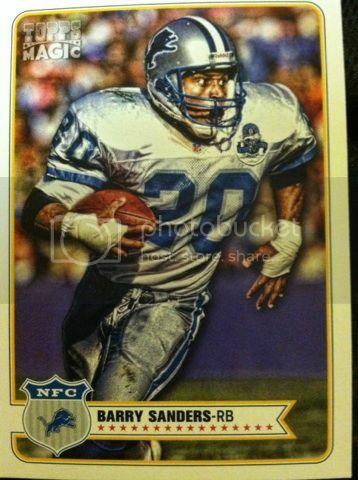 We also pulled a Pigskin Mini numbered Parallel of Bobby Rainey. 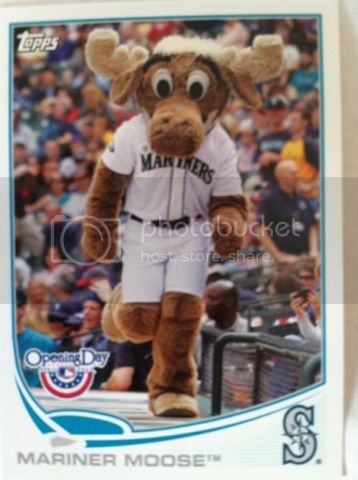 The other inserts were really lacking in design.They were extremely lame and very unexciting to pull. They remind of something you would use as a subset and not an insert. 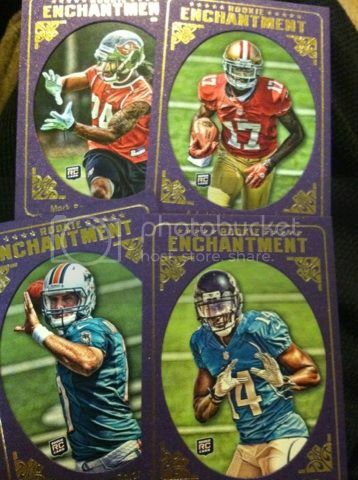 However, Rookie Enchantments that are pretty impressive cards. The photo has a purple frame around it. The picture is embedded. Very attractive card and this picture does not do it justice. AUTOGRAPHS: Sorry for the pics I don't know why the rest came out so great but the autos didn't, but its probably best they look like this anyways. Two Cleveland Browns (Colt McCoy and Travis Benjamin) and one Raider (Criner) makes this a dark (pun very much intended)...ugly break. 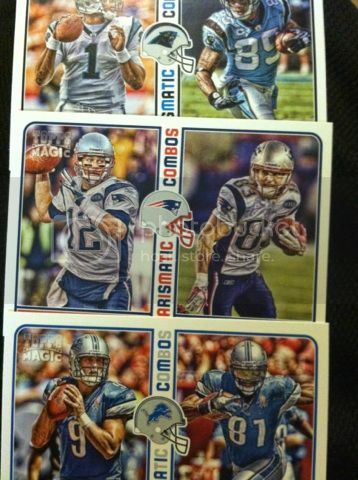 The cards still look nice and the fact all are sticker autos didn't bother me. But come on, wheres the value???? 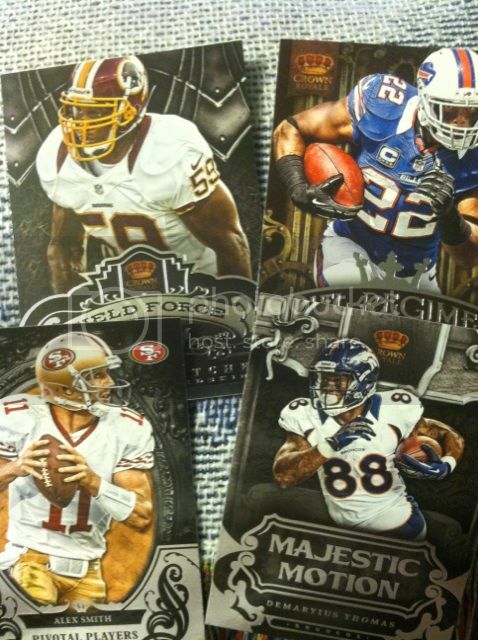 JERSEY/PATCH CARDS:Didn't pull any but heard they are very nice looking. And some include coins. OVERALL THOUGHTS: First off, value wasn't here. 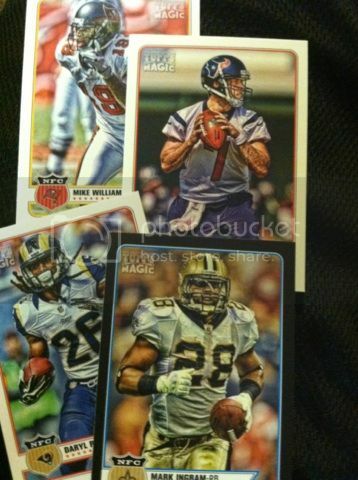 3 bad autos. 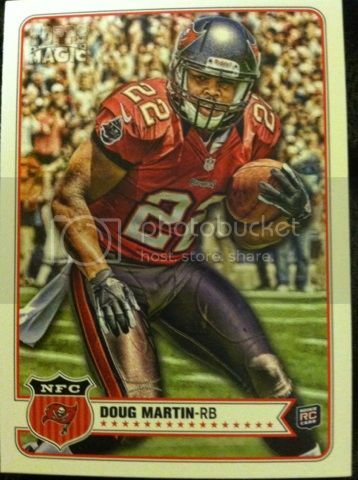 No rookie cards of RG3, Luck or Russell Wilson or anyone else for that matter other than the one Doug Martin. Value for what you pay to what you get...not good at all. 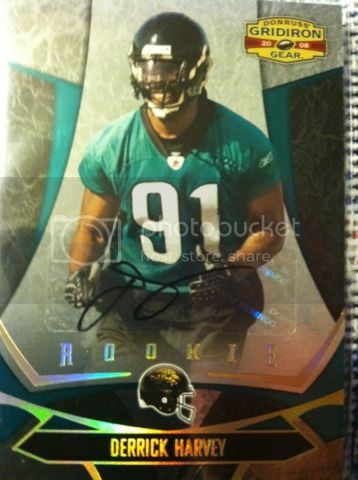 Cards still look nice and we all know its a gamble to buy a box...but come on..at least put good rookie cards in if the autos are bad??! 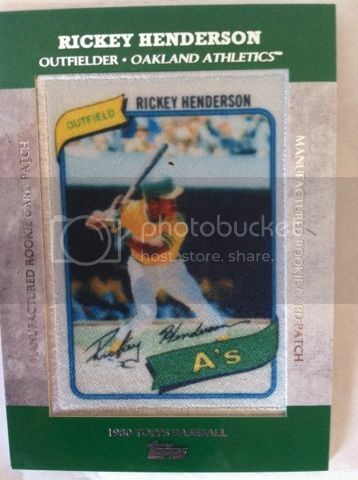 !Tried to talk to Topps about it, but no response. Not impressed. March 21st 2013-FINAL NEWBIE DAY! National Hockey Card Day..WITH CONTEST!